COMMENT | Amanah communications director Khalid Samad is mistaken. 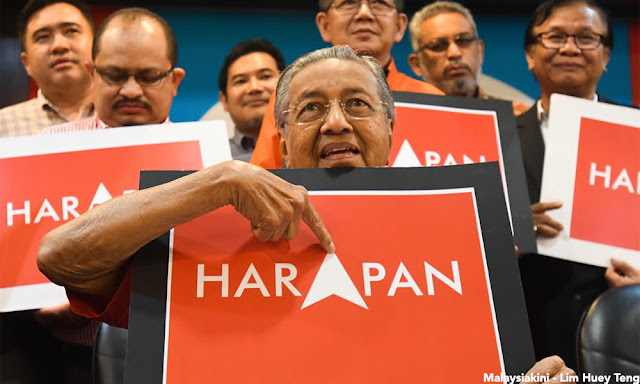 If Dr Mahathir Mohamad returns to the Umno/BN fold for whatever reason after the next general election, it would not be a betrayal to Pakatan Harapan. The only betrayal would be that which Harapan commits to the opposition voting public. However, there would be neither any sting nor moral condemnation to that betrayal because most Harapan supporters welcome the alliance with the former Umno president and prime minister. While I have argued that this is a Hobson’s choice of the opposition’s making, any attempt to minimise such betrayal is unwarranted and honestly self-aggrandising. Mind you, this is not a jab at Khalid whom I think is an honourable politician - a trait lacking in the current political leadership - but rather a rejoinder that “betrayal” of any kind in the current political climate is meaningless. So what if Bersatu, Mahathir or any other politician betrays Harapan? This is a single-issue election – the wrong issue in my opinion – which means the current Umno grand poohbah is vanquished or he is not. The best-case scenario if the opposition fails in that endeavour is that it retains Selangor and Penang.